Four burgers, a sack of chips, a jug of soda, half a chocolate cake and one large tub of ice cream. Sound like an unhealthy lunch for a family of four? In fact, it's a list of food eaten during someone's binge. Even if you know that one binge can destroy a whole week’s worth of effective weight control, when you’re on the verge it’s hard to stop. Here are five strategies that can bring you to a necessary halt in the heat of a bingeing moment! How will it affect me tomorrow? For what purpose am I using the food? You can’t binge when you’re busy doing something else. Many people successfully beat binges by having a few positive diversions ready for when the urge to overeat hits. Every time they feel they’re about to binge-eat, they respond with a planned alternative behavior. For example, you might promise yourself that every time you’re about to binge, you will work in the garden instead. Although it will be hard to follow through with this diversion at first, if you practice it enough you may find that you “think binge, do gardening” almost automatically. It’s a simple strategy, and it works. A huge percentage of people who have struggled with binge eating say that getting on the phone as soon as they feel the need to binge is their number-one tactic for averting the disaster. What matters is that you find a way to interact with other people immediately. The simple fact of knowing you’re not alone can help you avoid a binge. When the urge to binge hits, many people feel they're being attacked by an outside force. 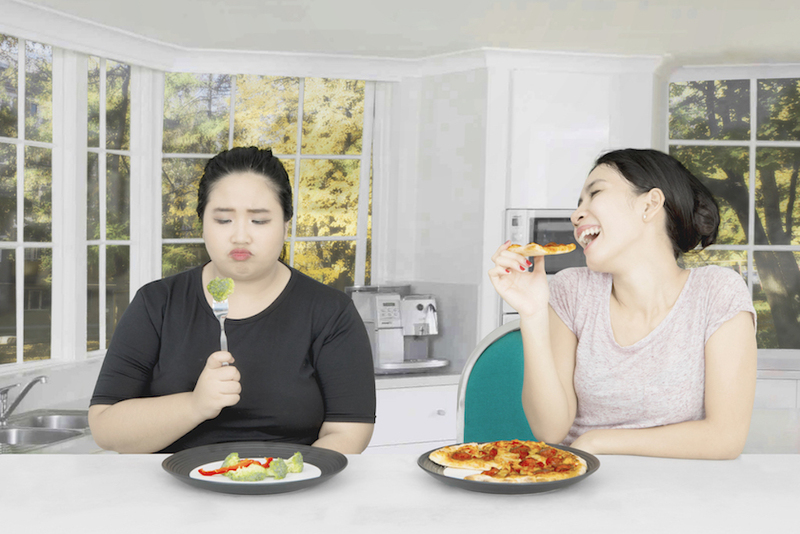 If you feel like you’re being attacked, it’s natural to respond with reactive, aggressive behavior such as overeating. However, that’s not the way to do battle with the "Binge Monster". Instead of panicking and reacting too fast, you need to do the opposite. Slow down, take 10 to 15 deep, slow breaths, and close your eyes for a minute. Do everything you can to slow yourself down and confirm that you are in control. It’s very similar to dealing with a panic attack. Of course, it may be that depression rather than stress is the state you’re in when you’re about to binge. If this is the case, take a slightly different approach and find an active way to fend off the binge feelings. “Many times the state I'm in when I binge is a feeling of depression, so I have no need to relax. Activities that make me more alert (exercise, puzzles, homework) are better than relaxing”, explains Amanda. Listening to music, exercising, or doing a simple stretching routine can also help you let go and free yourself from the “clutches” of a binge-eating impulse. This technique is not for the faint-hearted! It doesn’t work for everyone, but it’s definitely worth a try. Next time you’re feeling the urge to binge, lay out all the food you think you want to eat. Then add up the calories and fat in every item – have the CalorieKing food database or the CalorieKing Calorie, Fat and Carbohydrate Counter handy. Calculate your grand total and then decide whether or not you still want to binge. 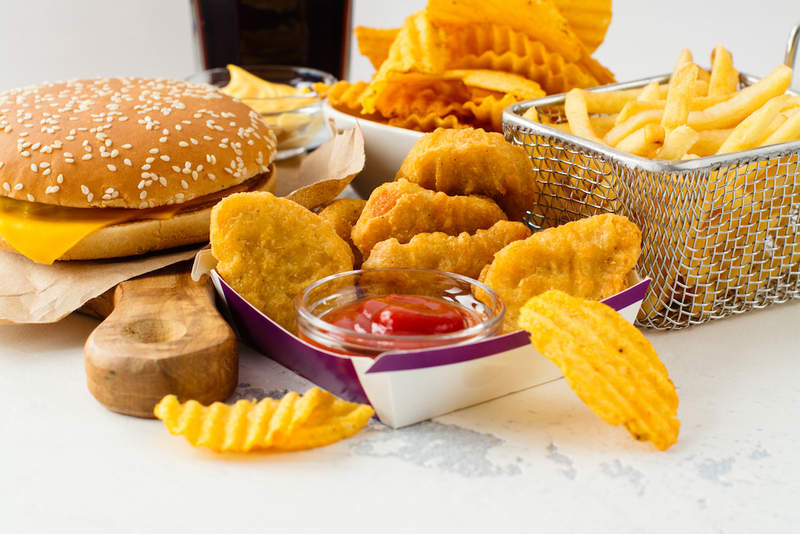 When the food that’s supposed to make you feel better is transformed before your eyes into thousands of calories and piles of fat, it can really make you think twice. As a final note, it's important to realize that Binge Eating Disorder is different from struggling with the occasional binge and is usually best addressed with therapy and professional guidance. For more information about Binge Eating Disorder, click on the related article link below.